I made this birthday card using the sketch from Sketches by Carly. After I did some back to school shopping, I had some time to finish this card. I'm really short on extra birthday cards and will be making a few to build up my stash. I really like the fun, bright colors. I also like to make my butterfly wings bend up from the paper. I think it makes them look more real. Beautiful card. I too love your color choices. Thanks for stopping by my blog! 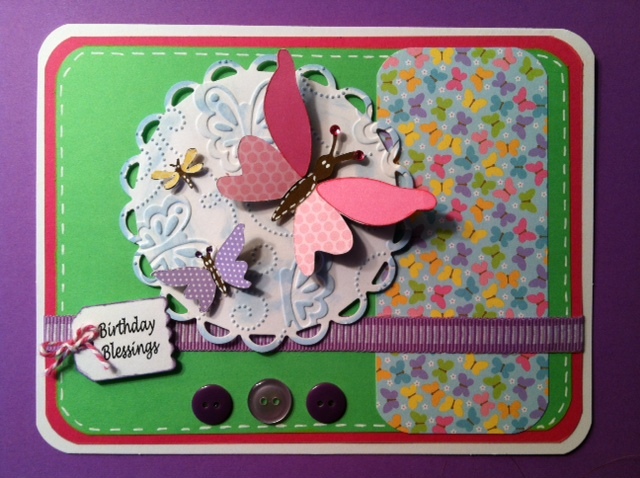 This is a very cute card, I love how the butterflies show up in the different elements. I'm looking forward to seeing more of your creations! Very beautiful Tara! Love it! Very pretty card! Love your butterflies!! Thanks for joining us at HIMCR! Great birthday card. It's so colorful and cheery. 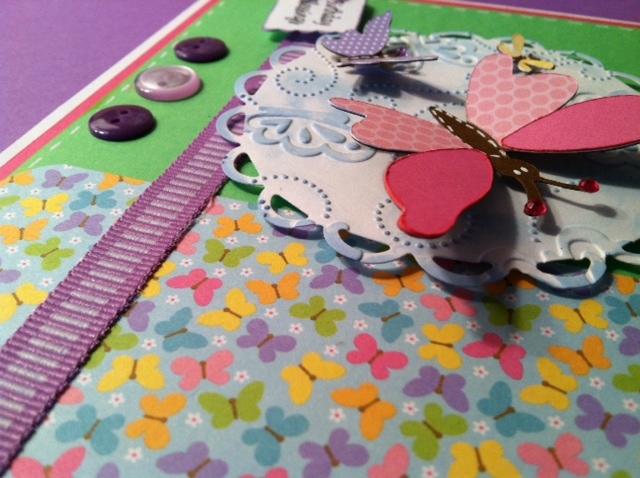 Thanks for sharing your art in the Creative Inspirations Paints blog challenge. Thanks for sharing your beautiful project with us over at Creative Inspirations Paint! We hope to see you back for a brand new Inspired By Challenge beginning on Sunday!